I have finally finished the ARC (advanced reading copy) of Max Allan Collins' upcoming novel, "What Doesn't Kill her". I have been a pretty steady reader of MAC's books for about 30 years now. He mostly writes crime-related novels, but there are interesting characters, series and sub genres that he plays in very adeptly. He is probably best known for writing "The Road to Perdition", which became a Tom Hanks and Paul Newman film in 2002 (someone took his graphic novel, developed a screenplay based on it, and MAC ironically enough ended up writing the novelization of the film, coming full circle). MAC also writes historical crime novels featuring a character named Nate Heller. He started off as a 1930's private eye whose career reaches such heights that he becomes involved in nearly every significant real-life murder case for the next 40 years. MAC also has other series characters such as wanna-be-retired professional thief Nolan, novelist-turned detective Mallory, and (my favourite!) the enigmatic hitman known only as Quarry. He has also written a few dozen film and tv novelizations. He has written around 10 CSI novels for example, and novelizations for films such as "Water World", "The Pink Panther", "Maverick", and many others. 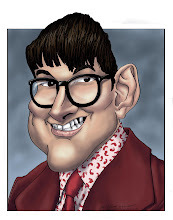 Max Allan Collins is a very prolific, and good, writer. I have so many of his books that I have crammed as many as I possibly could into a shelf in a bookcase, stored 2 deep. Other books of his are on other shelves. His Hard Case Crime novels are stored with my nearly complete series of those books as well. Plus, I have many of his other books on my kindle. No, I haven't read them all. And, yes, there are books of his that I do not own because I can't find them anywhere. MAC has written mostly series characters; so when he steps away from them and writes a stand-alone novel, I am especially interested in reading it. This is what he has done with "What Doesn't Kill Her". It is about a young woman whose family is slaughtered in front of her. Jordan is left alive by the murderer but is savagely assaulted. She spends the next 10 years in an institution, not saying a word, until something happens that makes her snap out of it and try to go after the fiend that killed her family, and perhaps other families as well. He is still out there, and he still wants Jordan. Along the way, Jordan meets up with people in her support group to discuss her case and those of the other members. She gets to be with an old friend from high school who is now a police detective. And, gradually, slowly, the murderer is revealed. I don't want to spoil it for you. I didn't realize who the bad guy was until one of the main characters runs afoul of him. That is all good. MAC's dialogue is sharp and crackling, but I have to pick a nit with the plotting. There are too many of what I called "Waltons" scenes. Remember "The Waltons"? An allegedly poor family living through the Great Depression who were nearly as talented and numerous as the Wayans brothers? One kid Walton went on to become a tv anchor, while another became a doctor, and so on down the line. Not a deadbeat among them. They should meet my extended family. Anyway, every week on that show, for 10 years, there was at least one scene in which the family was eating supper. These scenes existed mostly to give the supporting characters something to do and to move that episode's plot along. They bored the hell out of me. Ever since, I am maybe overly sensitive to these scenes in every book I read, every tv show and movie I watch. In "What Doesn't Kill Her", the characters sit around eating pizza and drinking Coke Zero. They meet in coffee shops and drive to Italian restaurants. I get that these scenes provide exposition to the reader and let other characters know what is going on. I just wish there were another way for writers to convey this information to the reader without having long scenes involving food and beverages. That's my only real criticism: an overused plot device. Max Allan Collins has produced a pretty good thriller. He takes a familiar plot and puts enough twists and turns in it to keep me reading and wanting to know what happens next. The way the bad guy is caught and the resourceful techniques the protagonist goes through to achieve this goal kept me on the edge of my seat. And let me be the first to hope that Jordan returns in another novel or two. I found her character fascinating and want to see her again. She would make a fine series character, as long as she stops hanging out in coffee shops and eating so much pizza and drinking copious quantities of Coke Zero. I worry about her health. I give the book 4 stars out of 5. I know that MAC will read this review, so I will end this by stating that an upcoming Bevboy's Blog interview will be with Ronnie Roberts, long-time radio jock here in Halifax. He became very good friends with MAC's favourite singer, Bobby Darin. I will certainly ask him about Mr. Darin and invite MAC to read the published interview.